'Where is the parish priest?' I asked the young girl sitting on the ground with her friends outside the parish house. I had just arrived in a remote Aboriginal community along with a colleague and was not sure where we were staying. I will never forget the look that came upon her face. She seemed stunned as my question registered. I had asked her in her local language. Just a simple question. But that a white person, a visitor, might address her in her own language seemed the last thing she had expected. As she paused and then went off to find the priest, I was reminded of the power of language. No matter how poorly I actually know Indigenous languages and how easily I manage to mangle them, I was reminded, once again, how important it is to keep trying to learn and speak the languages of our Indigenous peoples. I am no expert of any Indigenous language in this country. But I have managed to learn some key expressions, particularly forms of greeting or farewell. Instead of people saying 'hello' and 'goodbye', they often use expressions that express something like 'Where are you going?' and 'I am going along now'. Even in simple exchanges, different values and meanings are communicated. I have even managed to pronounce some of those sounds that we do not have in English, particularly at the beginning of words. My tongue has had to exercise, be stretched and learn some new behaviour. Still I cannot say that I can speak any Indigenous language well. I wish I could speak more and with a deeper understanding. Within the Jesuit family one is encouraged, particularly in the early years of training, to learn another language. Some Jesuits, especially those who have grown up in Africa, Asia or Europe, and in the midst of many other languages, can speak a number. As Jesuits, we belong to an international society where we can be asked to work in places where our native language is not the local one. I have lived in Indigenous communities within Australia, and also overseas, where English is not, for most, their first language. For some, it can be a valuable tool to help communicate with the wider English-speaking world. For others, it remains the language of newcomers: settlers, police, magistrates and missionaries. Of colonisers. In their experience, few white people have ever respected or made the effort to learn their language. As a result, communication and mutual understanding is seriously limited. I am very supportive of changes to our Australian Constitution that acknowledge and respect these ancient languages and the cultures they represent. These languages speak to the ancient past of our Australian identity and the need to state what has been missing. Of the many hundreds of languages that have been spoken in this land, 145 or so are still being used. Some are closely related and similar, others vary enormously. 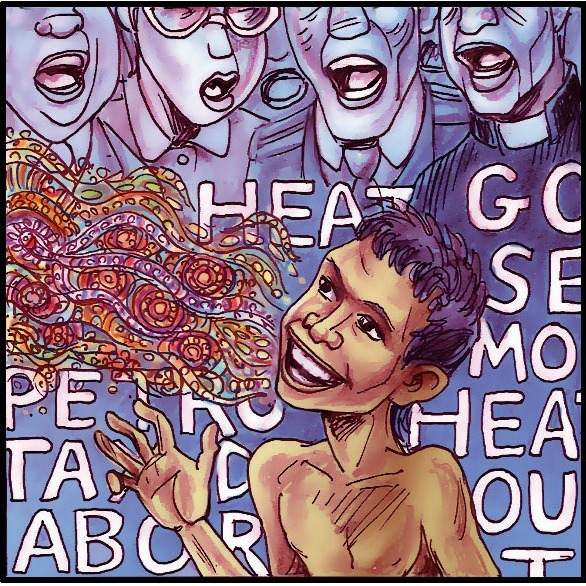 In the 2006 Census, one in eight Indigenous Australians identified as speaking an Indigenous language as their primary household language; 50 per cent of Indigenous young people in remote areas continue to speak an Indigenous language. Acknowledging the importance of these ancient languages in our Constitution is more than providing lip service to our Australian heritage. It is about the recognition of who we were, well before 1788, and who we still are. It represents a new willingness to hear the voice of our First Nations peoples, with a desire for better communication and deeper understanding. Indigenous languages offer rich ways to describe and name our world. They offer valuable insights and knowledge for all Australians. On this the fourth anniversary of the Rudd Government's National Apology to the Stolen Generations, I remain saddened when Australians make little effort to respect and engage this heritage, and when the emphasis remains largely about speaking English. I remember how much more remains to be valued and respected. I deeply value what learning and appreciating something of our Indigenous languages has given me. I wish more Australian children were given that opportunity. Even in the cities, away from the daily sounds of these languages, I am often made aware of how the past still speaks to the present. Council signs, tourist messages, Welcome to Country ceremonies and names of places remind me of words and meanings that continue to be remembered. I try to pay attention to these words and, when given a choice between an earlier place name over a later and colonial one, I will choose to use the former. I try, also, to pronounce them as they were intended. Perhaps, in years to come, when I visit that remote community again, young people will not be shocked to hear a white person trying to communicate in their local language. They may even have come to expect it. Fr Brian McCoy SJ is a senior research fellow in Aboriginal and Torres Strait Islander Health, La Trobe University. He is co-author of Take Off Your Shoes, Walk on the Ground: The journey towards reconciliation in Australia, published by the Australian Catholic Social Justice Council to mark today's fourth anniversary of the National Apology. A sensitive article, thanks Brian. Much has been written about preserving indigenous culture, particularly language, and it is heartening to read of your commitment to learning the languages of our first people. It's a sign of respect and shows an awareness of the importance of being a 'good neighbour'. Perhaps another step could be to introduce Aboriginal language studies into the curriculum of all schools, not just attempting to preserve it in indigenous communities. Thank you Brian for keeping me in touch with the eight wonderful years I spent in the Kimberley. I was not brave enough to even attempt to learn an Indigenous language so I salute you and the late Fr. Kevin McKelson who have done so much to bridge the gap. Blessings! Thank you Brian. As I read this I was reminded of a recent story on the ABC about the importance of our children learning Mandarine, given the 'rise' of China. I wonder, would a similar emphasis on the teaching of indigenous language to all children here in Australia, provide a kind of culture change that would assist in the rise of reconciliation? Imagine the children of Second Australians, through their understanding of indigenous language, coming to appreciations of First Australian cultures and worldview. is there any way a person can make a contribution support to the move to acknowledge the first peoples in the Constitution? In retiring to Halls Creek (East Kimberley) just over five months ago I had in mind to retrieve something of the knowledge of the local Jaru language I had acquired during nine years as parish priest here. I had enough knowledge "off the page" to be able to read and understand a Jaru translation of the Mass -a Jaapanese linguist who had researched Jaru once said to me, you have an advanage in coming to Jaru - you know Latin! A couple of points when I came back I went to the local language centre and enquired whether any people like myself were dong language. No, we would like to get the old people together first, was the response. In that regard not much has changed over fifteen years. The second point is that in the 1990s the three "Catholic" schools in the parish shared the services of a linguist. Sadly she was withdrawn and has not been replaced. A prompt there for CEOWA. Andrew, your thoughts here were mine as I read this awakening article. Most of us 'Aussies' never think of learning the original languages of the country of our birth but are happy to learn Japanese, Spanish or Mandarin if it helps our travel or commerce prospects. The social and reconciliatory benefits of these languages being available to school children would be considerable. Thank you Brian for your recognition of the Aboriginal people through language. Even in places where much of the language has been lost, the recognition, for instance, of Aboriginal placenames: 'Welcome to ______ Country! ... validates both the country to which the laguage belongs, and the people who belong to that country. So sad that languages are even now being expunged in the name of 'education' and 'progress'. I recently spent three months in East Timor. I know how delighted the people were when I managed to say a few words in their language. I loved this article. It reminded me of my eight years in the Kimberly. Palya mama Brian! Kutju kulila wanga palya.Yati. The Kimberley Language Resource Centre's priority goal is the transmission of spoken language through the Aboriginal generations. The KLRC are initiating ADULT oral learning classes, targetting Aboriginal learners _first_. Old people have more interest in non- Aboriginal people when they are there, a legacy of anthropological and linguist research. I have experienced it myself over the last 10 years. This approach is different to the past where the focus was written documentation and people learning language in a classroom environment. The downside of documentation has been decades where old people's knowledge and language was diverted away from their own communities and families. If non-Aboriginal people need assistance from Aboriginal languages organisations to learn the languages a financially beneficial way of doing this must be found. Our organisation is poorly resourced with personnel. Much more resources are put towards school programs, which have a limited language learning outcome. Languages must be in the community and on country and in the mouths of children to survive. Lack of linguists is not the problem - Aboriginal ownership of their own language destinies and a government agenda of assimilation through English are the main problems to overcome. All who have heard of your involvement with the work amongst Indigenous people are in admiration of your generous and well-informed services to our original Australians in so many places. The general concensus of the comments is one of congratulation, support and encourgement. When I Googled "Kimberley Language Resource Centre" and "Community Language Assistance Program", I was quite impressed by reports on what has been done in many places and the potential for greater involvement of Australians everywhere for the preservation and respect for the 145 Indigenous Languages in Australia. Classes in Wangkathaa were held in the Kalgoorlie School of Minesabout 30 years ago when I attended. As I moved around settlemants at Ringer Soak, Mulan, Turkey Creek, Billiluna and Kununurra, I saw the efforts that many teachers devoted to developing programs for all people interested. It would be a useful research and report on the present state of teaching and learning of Indigenous Language thoughout Australia. Congratulations, Brian. After a few frustrating weeks in working in Central Australia Health I was amazed at how a few words spoken in the local language opened up communication. For many english was not their first language and they were not comfortable being at the hospital. I also soon learnt what subjects they were interested in- wildlife, hunting, painting and vehicles eg Toyota Land Cruisers. I have since tried to investigate where to learn aboriginal languages but the languages are region specific. Now I am in the city the local indigenous have english as their first language and it seems less important. So I think it an important part of any preparation to work in Alice Springs, remote communities or indeed any non english speaking country. While it's nice to read stories such as this I am devastated this morning to hear on the radio reports of suicide and despair and violence in remote aboriginal communities where a lack of work, lack of social skills lack of life purpose and an inability to0 n speak and use English have trapped so many of our people in an indigenous Zoo. Father McCoy is doing a great job but I wish he would come to earth and help indigenous people save their culture without requiring they live without work and without equal opportunity. well put.Thanks Brian,I too am an advocate for ALL schools promoting the local indigenous mutha. I have yet convince educators of the importance of developing reconciliation beyond just saying "Sorry" I enjoy greeting my Aboriginal friends in their language. Minority government has presented unique challenges to Gillard and her team, to which they have responded with dignity, clarity and efficiency. Politics in the Australian party system is a team sport, and it's clear Kevin Rudd has a thing or two to learn about loyalty and solidarity.